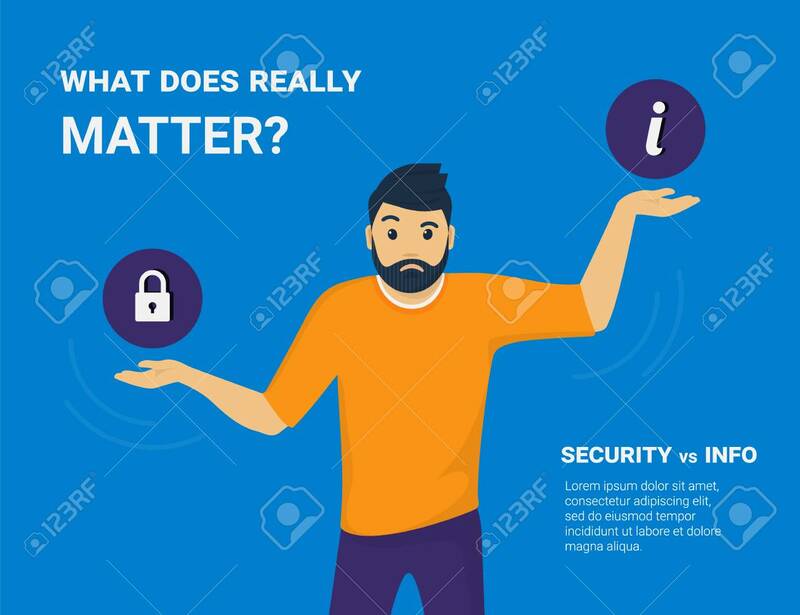 What Does Really Matter. Young Man Comparing Information Security And Public Access To Information And He Needs To Choose One. Flat Concept Vector Illustration Of Imbalance And On Blue Background Lizenzfrei Nutzbare Vektorgrafiken, Clip Arts, Illustrationen. Image 104645853.